Northampton Township Volunteer Fire Company - Times Publishing Newspapers, Inc. They have three stations: Station 3 (Richboro), Station 73 (Holland), and Station 83 (Churchville). 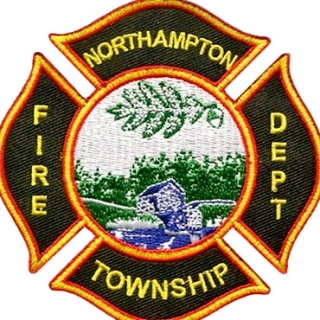 Their mission is to provide superior fire and rescue services to the residents and visitors of Northampton Township. The Fire Company has made much progress in 100+ years due to the dedication of the citizens of Northampton Township past and present. In addition to the fire and rescue responsibilities, the Fire Company has a group of members known as Fire Police who provide scene security and access control to all types of emergency incidents. All the members take pride in utilizing the newest, safest advancements in technology to be prepared for any situation. Constant training is important. Along with specialty training in Hazardous Materials Response, Marine Rescue, High Angle Rescue and Confined Space Rescue, Northampton Township firefighters drill every Monday night, maintaining a high level of proficiency that ranks among the best in the county. Recently, there have been a few changes to the daytime crew that has included the addition of another firefighter/fire inspector and a Deputy Fire Chief. Volunteers continue to be needed. The fire company is a great place to find the satisfaction of serving your neighbors and friends in a very important way. The fire company provides all the necessary training (180 hours to start), protective equipment and a great atmosphere of camaraderie. If you feel the challenge, come out and join them. Call 215-357-6800 if interested.